32% of my friends changed jobs last year. How many of yours? Linkedin will tell you. LinkedIn has started the New Year with a bang, pushing a new marketing campaign which aims to motivate users to get out of the jobs that they hate and start something new. If you are a LinkedIn user, you might have received an email over the past couple of days that detailed how many of your friends on the social network changed jobs in 2010, providing thumbnails of the individuals and inviting you to learn more about them. LinkedIn is well known for its ability to connect likeminded individuals in a certain profession, but it has also enabled recruitment specialists to connect with professionals and actively solicit business. Just last month LinkedIn rolled out a feature enabling its users to automatically generate a CV/resume which is populated automatically from a users profile. All the user needs to do was make sure that their information is up to date and they can generate a CV whenever they need. 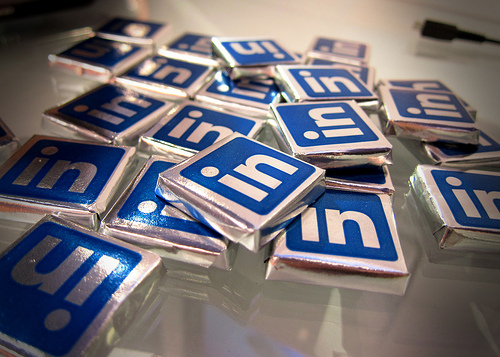 Where Facebook has become the central hub of your social life, LinkedIn is making inroads into becoming the one-stop-shop for all of your professional needs. The email will almosty certainly prompt users to click the faces they recognise, generating pageviews but also increasing the chances of LinkedIn friends connecting with each other again and finding out what had changed for them over the past year. A clever move by LinkedIn, even though I personally don’t use the network that much, I was tempted to click on the faces I recognised and see what jobs my friends had recently taken.